‘Sell’ numbers two at a time. If a player’s number comes up, they win a prize. 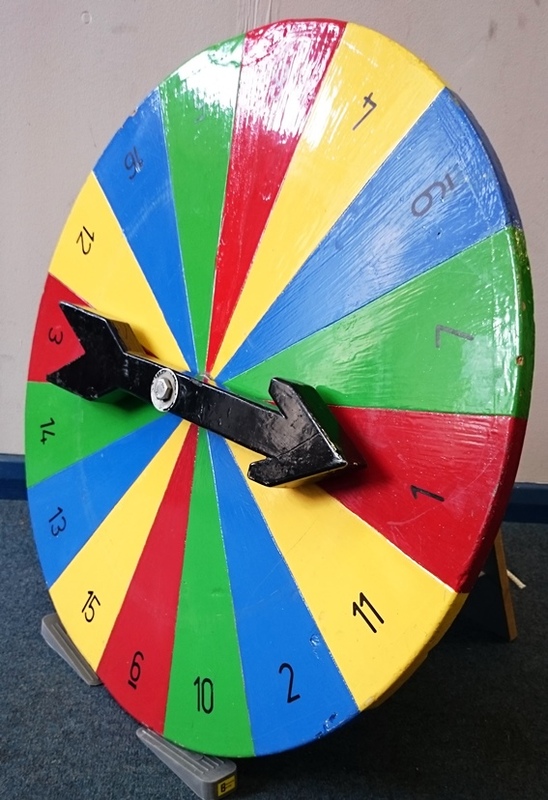 You don’t need to sell all the numbers before spinning the wheel, but more players make the game more exciting. Circular board with spinning arrow. Laminated cards showing all the numbers on the wheel (2 numbers per card). Sheet with suggested rules and charges. Something to lean the wheel against so it can be seen by players.